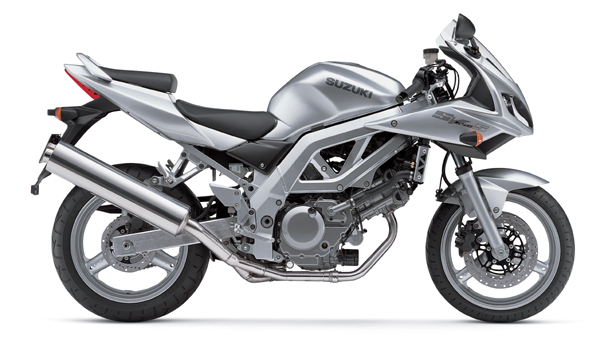 New generation SV650S with all-new frame, electronic fuel injection and an exciting new look. Pulsed-air injection system (PAIR) reduces emissions. 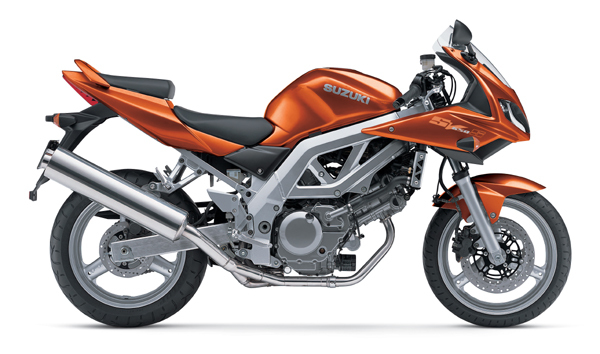 Sleek half fairing features dual 60/55W headlights with running lights and folding mirrors. Steeply-angled tail section houses unique vertically-styled, high visibility LED taillight. New-style 4.7 gallon fuel tank with low fuel warning light. 41 mm front forks with 130 mm of wheel travel provide a smooth, compliant ride.